This "sacred institution" just looks creepy now. 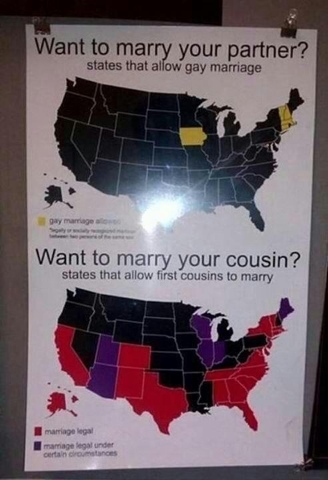 Hopefully after Tuesday we can add Washington State, Maryland and Maine to that list. The real question is when will California join the 21st century? It's headed to the Supreme Court, BosGuy!